Matthew Lawrence on 'making 'em larf'. Nothing releases life’s pressure-cooker better than a hearty chuckle. And why dab those giggles sporadically like Vegemite when you can spread it thick like Nutella! As a writer, dancer and choreographer, I love the challenge of humour. Eliciting laughter on dance’s mute stage is particularly daunting and, if affirmed, rewarding. Whereas writers can only guess of their comic success, performers and dance makers receive instant feedback, with the ever-present risk of egg-on-face. Humour is an underrated facet of dance, perhaps because of its association with “low brow” pantomime and variety shows. Yet, when used effectively, a well-placed gag can drive a narrative and infuse humanity into abstract pieces. Playwrights and dramaturges understand the value of laughter. Take William Shakespeare, who typically placed a light-hearted scene – such as the grave diggers in Hamlet – as a penultimate scene. It acts to heighten the drama by providing a counterpoint to the impending tragedy. There is science and wisdom behind good comedy, and burgeoning choreographers, understandably, will usually steer well clear. After all, comedy is the realm of the master craftsman, like Graeme Murphy. When talking to the Sydney Morning Herald this year, Murphy remarked, “Nothing is a better muscle relaxant than a smile.” Humour permeates much of his choreography. Tivoli, a collaboration with the Australian Ballet and Sydney Dance Company, particularly tickled the funny bone with inspired comedy. Who can forget the strong man act, in which the muscle-bound male performed increasingly impossible feats of strength with a petite (and secretly harnessed) Tracey Carrodus. Like all comedy, you had to be there. The audience roared. It was one of Tivoli’s many golden gags. Likewise, comic characters are best entrusted to seasoned performers who understand timing, grounded characterisation and stagecraft. An Australian master is Colin Peasley. I fondly remember watching Peasley’s Dr Coppelius, whose character, given to a lesser performer, could appear as a dirty, weird old recluse. After all, Dr Coppelius does drug and entrap poor Franz, make and maintain life-sized toys, and want to create a living, breathing doll... for heaven knows what! And yet Peasley manages to evoke empathy for the character. So when the scheming eccentric spikes the cad Franz’s drink, you are laughing on the toymaker’s side. As such, humour is cast reliant. It is also audience dependent. Opening night audiences, with sponsors and dignitaries over-indulging on interval bubbles, are typically the easiest to get laughing. Similarly, school-filled matinees are fun. Conversely, mid-week matinee audiences are quiet observers. Culture makes a difference too. American audiences love slapstick and will react overtly. Asian spectators are more reserved. The British love clever set-piece jokes. Russia – is Russia. And Europe will laugh at unpredictable times. Australian audience reaction lies somewhere between British and American, as it does with our TV. One comedic secret in dance, I believe, is musical timing. Music is in essence the dance’s voice, with “comedicography” requiring perfect synchronicity with the orchestra. 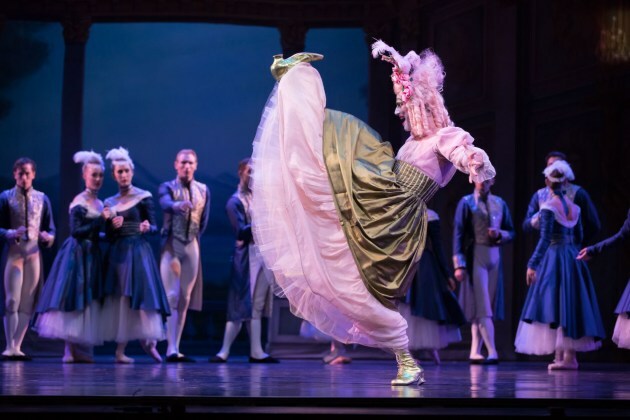 No one exploits music better for laughs than Birmingham Royal Ballet’s director and choreographer, David Bintley. His Hobson’s Choice, unseen by most Australian audiences is, in my opinion, a masterclass on utilising musical frameworks for comic effect. Humour is cast reliant. It is also audience dependent. Realistic characterisation is equally important. Again, Bintley was a wonderful character artist, and emphasised that a performer should never try to be funny, instead, the performer is a real character in a funny situation. “Become the character,” he would say, even if it means painting your fingernails as an ugly sister; you are not man playing a woman, but a woman playing a woman ... yet you are clearly a man ... now that is funny. How often do we say, “Golly-gosh, I needed that laugh!” (well perhaps not those exact words). Often, my most enjoyable nights at the theatre have been sprinkled with a good dose of humour. Paradoxically, the best laugh I ever got on stage – which united the whole audience – was when my Nutcracker jacket became attached to Sugar Plum’s tutu. After a protracted and violent struggle to detach, my Sugar Plum’s tutu developed a fabric tail, which ensured continued mirth from the now delirious audience. Ah well, apparently understanding humour starts with being able to laugh at yourself! Right? 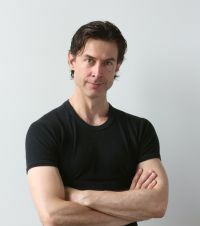 Matthew Lawrence is a former principal artist with the Australian Ballet, Birmingham Royal Ballet and the Queensland Ballet. He is currently an associate lecturer for the dance department of Queensland University of Technology. 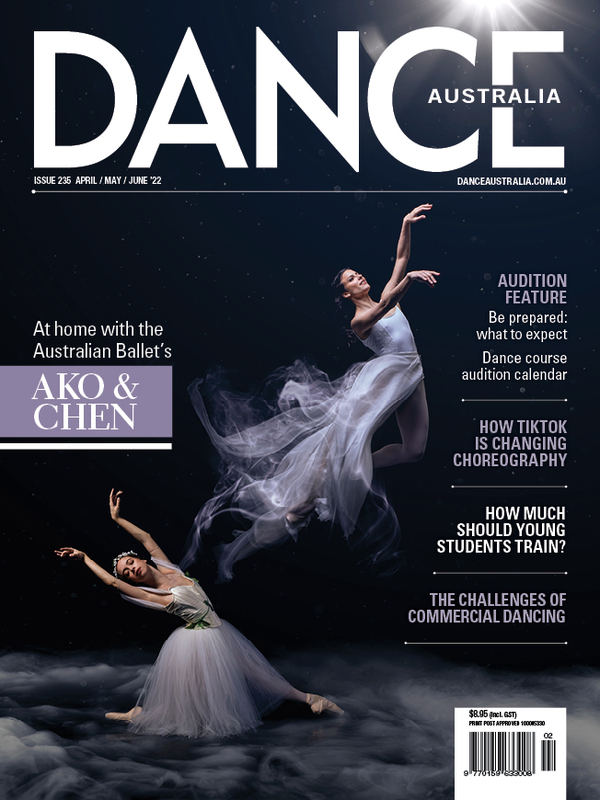 This article first appeared in the December 2018/January 2019 issue of Dance Australia. Did you miss out? Subscribe and receive every issue! Just go here.